On Saturday, the 10-minute conversation at midfield was the first main interaction between Paul Chryst and Mike Riley. The two close friends had decided to avoid most contact prior to their primetime showdown. As much as they said all week that Nebraska vs. Wisconsin wasn’t Mike Riley vs. Paul Chryst, it was still difficult to take on a close friend. For a quarter of a century, they have played a part in each other’s lives. “Connecting with Mike was the most important part of my career,” Paul Chryst told our crew about his friendship with Mike Riley. 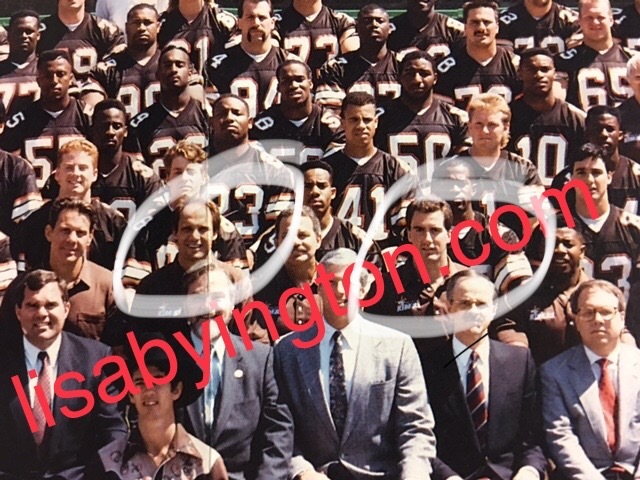 Riley hired Chryst for his first coaching job back in 1991 with the San Antonio Riders of the World League of American Football. He then proceeded to hire Chryst at his stops with the Chargers and at Oregon State. The picture below is from an event introducing the Riders to the city of San Antonio. The two would reunite in the offseason for several years back in Texas to watch football film. “We would stop for dinner,” Chryst laughed.